Height: 28 ins. 71.4 cms. Width: 37.75 ins. 96.26 cms. Depth : 26.5 ins. 67.57 cms. 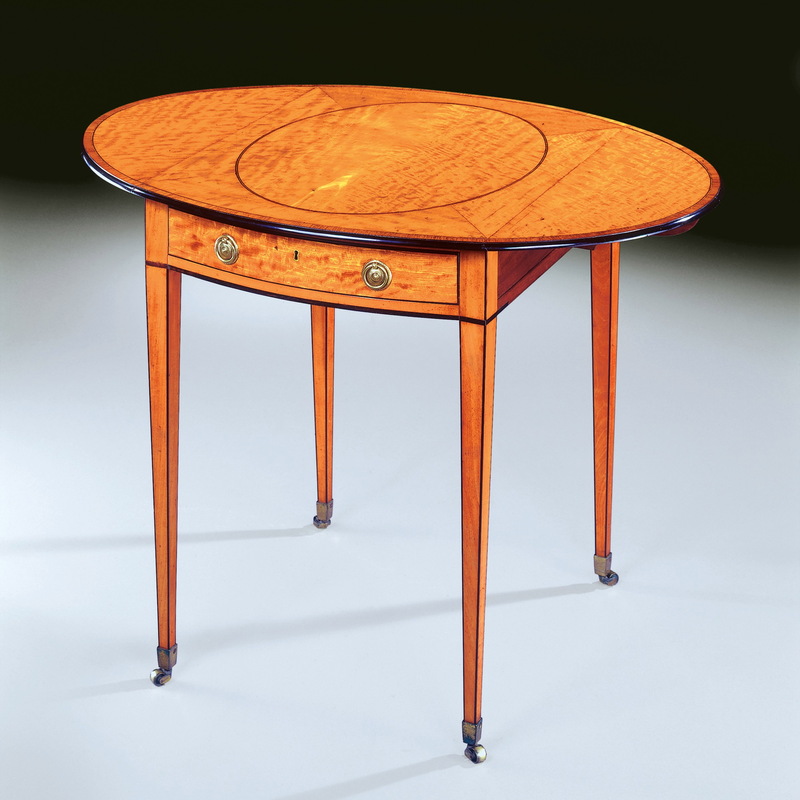 A George III period figured satinwood Pembroke table, the top with an inlaid oval panel and with a drawer to the front and a mock drawer to the rear Inlaid with Rosewood and ebony lines and standing on tapered legs with brass castors.